I know, I know, every blogger and their dog has shared about ways to increase your exposure, whether it be specifically for your online website, blog or social media accounts, I have read multiple different posts… so what makes mine any different you wonder? 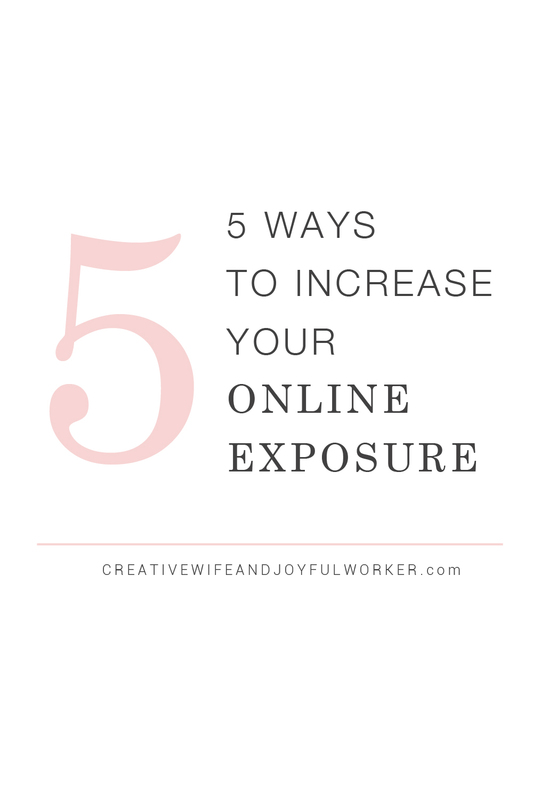 The purpose of this post is to share five ways that have helped me gain exposure online from the beginning and may not necessarily be the most obvious ways to do so. Some of the most frequent questions that I get emailed from new bloggers is how did you grow your brand? How did you start working with other brands? How are you involved in so many different things online? 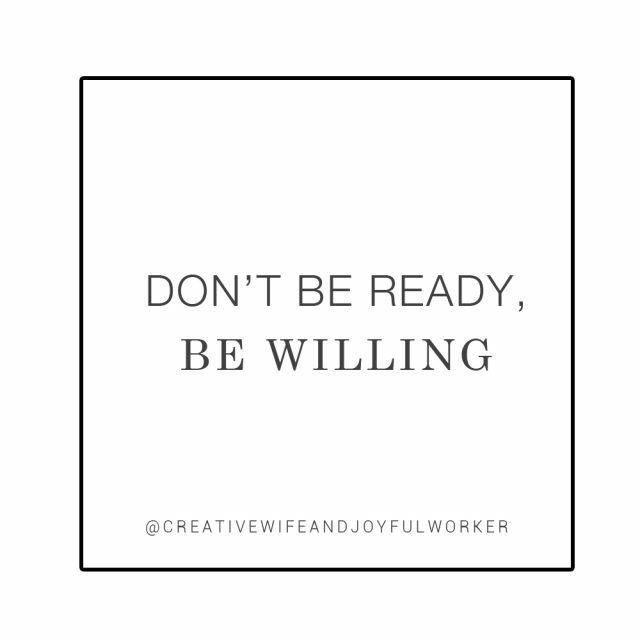 And so on… it isn’t easy to just pin point one answer for any of these questions, but I think that these tips will help share some things that I have done that have helped me with the success of Creative Wife & Joyful Worker. 1. GO FOR IT & COLLABORATE // don’t be afraid to email people to collaborate and share your ideas. Yeses are great and Nos mean nothing. Never be effected by a no, sure you can be bummed because obviously it’s an idea you had and you thought it would be great, but just because that person/business didn’t like it doesn’t mean it’s not still great, it just means that that person wasn’t the right person for it. Take that no, evaluate your idea, maybe make some changes then reach out to someone else that it might also be a great idea for. 2. GUEST BLOG // This was something that I didn’t give much thought at the start and thought it was a waste of time to share my ideas on other sites, but for google SEO it is the last thing from a waste of time. The more that your web page is linked to other credible websites the better standing your site has according to google. This increases the likelihood of your website being closer to the top of google search pages when people are searching for keywords within your site. 3. TAKE ADVANTAGE OF YOUR PHOTOS // Photos are huge for sending traffic to your blog. Make sure you take advantage of the title of your photo and the alt tag connected to your photo. The alt tag represents what your photo is when people are searching google. So if you lease it as “Codi1.jpg” (for example) That is going to be very useless, however if you use the alt tag to describe the photo like “Easy Chocolate Chip Cookie Recipe” when people look in google the likelihood of your image showing up for this google search is so much higher! * When people use Pinterest and Pin images from your site this is what comes up automatically in the description and lots of people DO NOT change it. So great you got a pin, but learn to capitalize on that pin by automatically making the pin description searchable. It was from being a YES person, I honestly said yes to pretty much every opportunity that came my way. Keeping in mind that there are going to be obvious things that come through that are not your brand and you should for sure say no to starting out, but when you ponder, could this be good? Go for it and find out after. Once you start to figure out more of your niche and your focus through saying Yes start saying No! You can’t always do everything and it is really unrealistic to do it all, start saying no more and in those cases try to refer someone else that might be a better fit. Saying no isn’t so hard if you can leave the person with a new direction to go in. 5. JOIN BLOG GROUPS // There are so many great groups out there for bloggers, sometimes it is hard to find ones where there are active people, but once you do it is such a help! There are lots of groups for either sharing threads to get feedback and/or groups where there is no sharing allowed and it is strictly for asking advice and sharing opportunities with other bloggers. I have joined a few groups recently that would have been so helpful to do ages ago, finding other supportive bloggers is such a relief and helps you to learn things you otherwise may not have even thought about. I hope that you were able to learn something from these tips or even allowed you to think about what you are already doing in a new light. I love connecting with new bloggers and sharing my ideas but as my blog and my family grows my time has become much more limited to the amount of emails I can whole heartedly respond to. If you have any questions or comments please leave them below, I would love to hear what you learned or even what you might still be interested in learning more about.